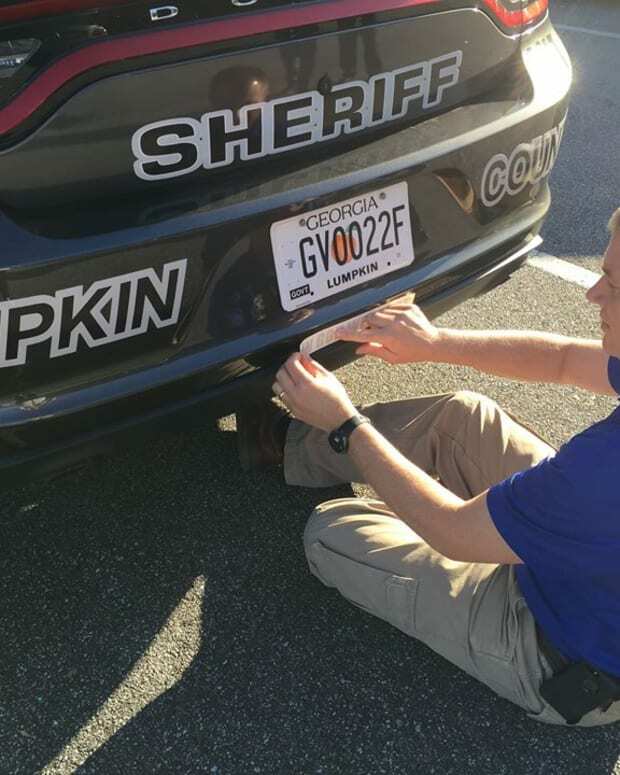 The stickers were provided by Good Promotions, a local business, and approved by the police department, Your Houston News reported. 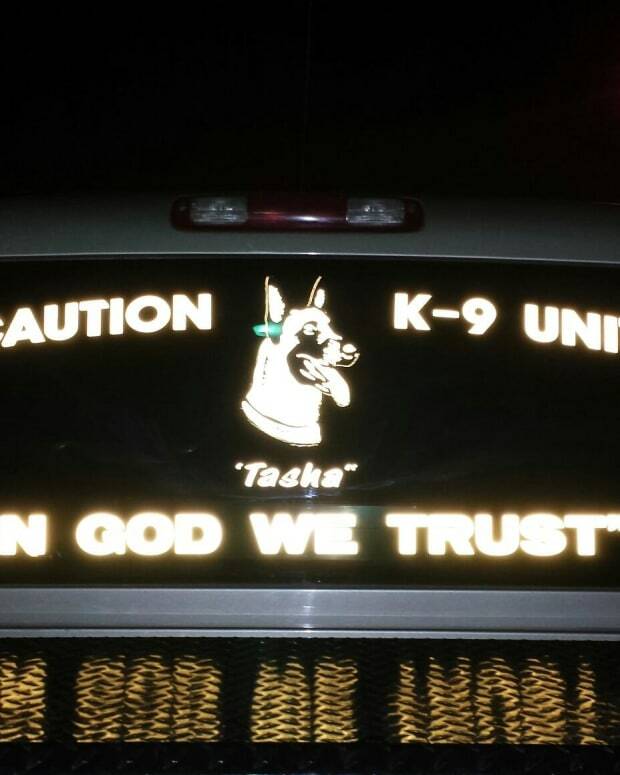 Cleveland ISD Police Chief Rex Evans says the message is empowering and patriotic. 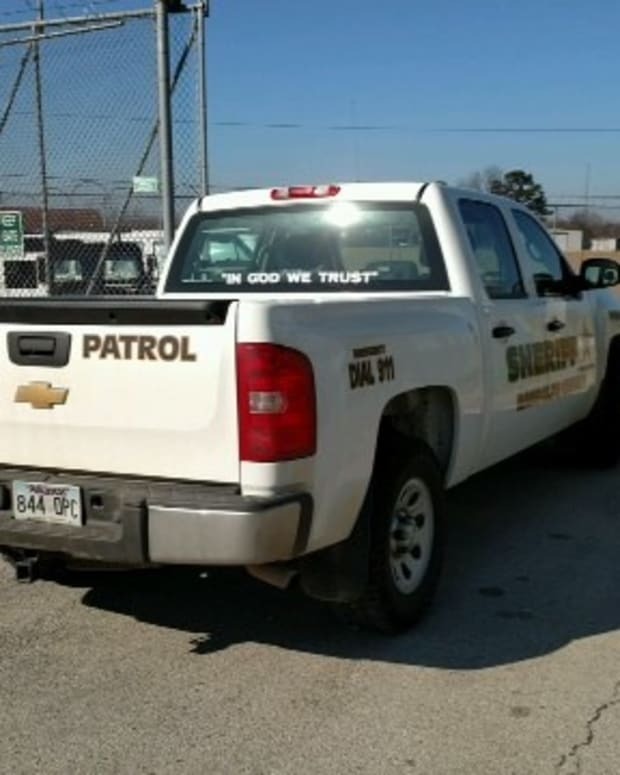 Despite the questions the decals raise about the separation of church and state, Texas Attorney General Ken Paxton issued a legal opinion that the motto doesn’t violate the First Amendment, according to Constitution Daily. 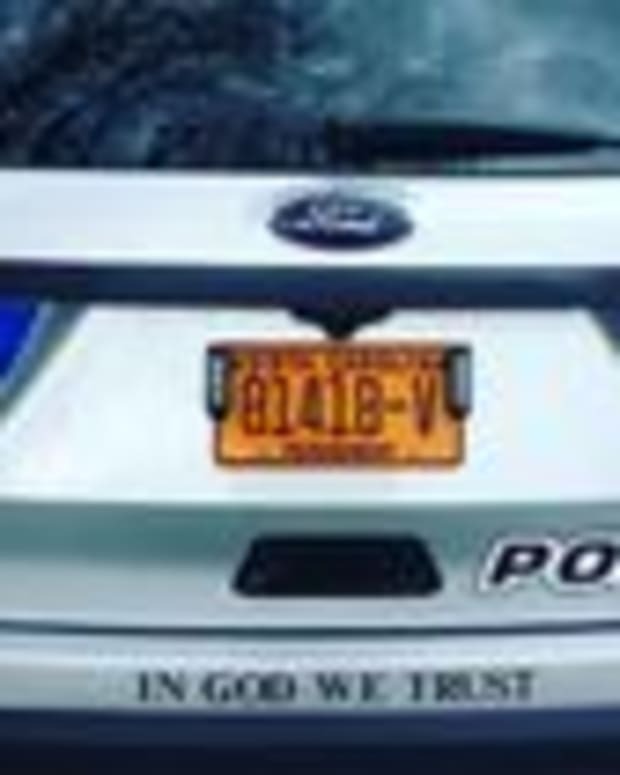 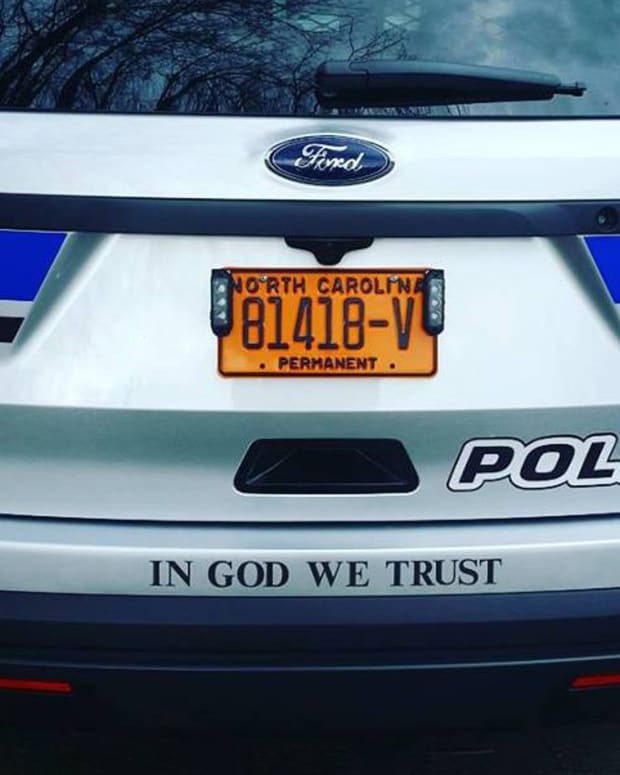 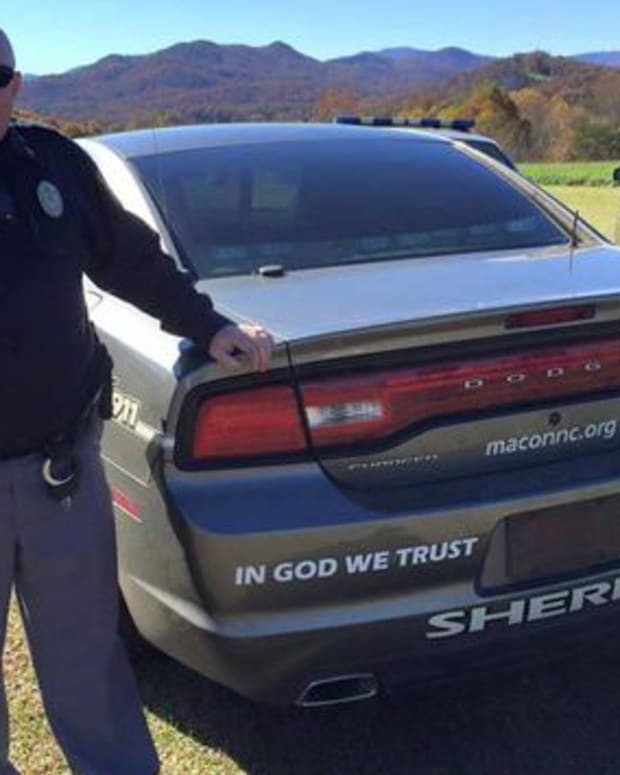 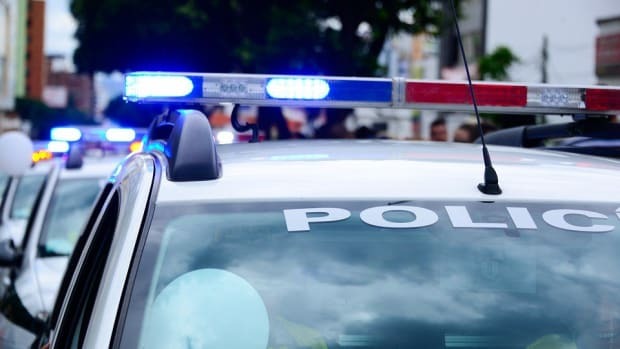 “A court is likely to conclude that a law enforcement department’s display of the national motto, ‘In God We Trust,’ on its patrol vehicles is permissible under the Establishment Clause of the United States Constitution,” Paxton said in his ruling. 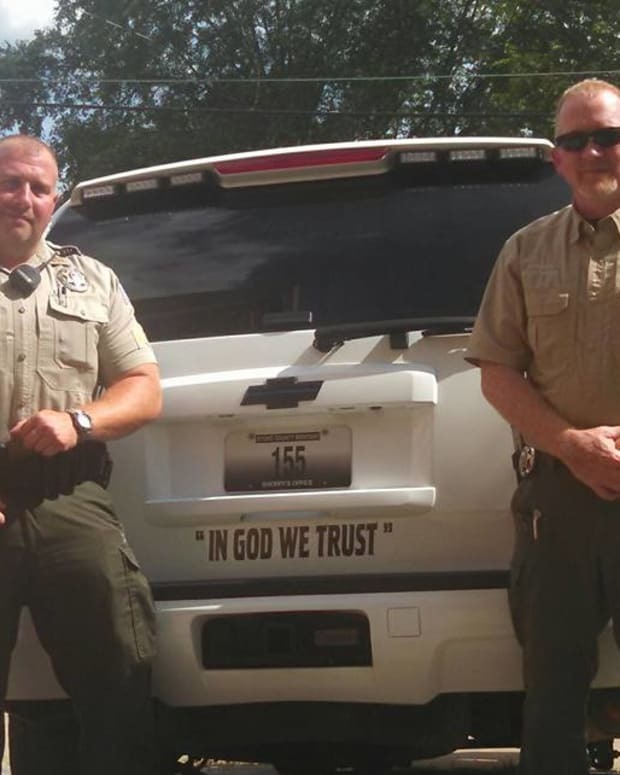 The Cleveland police force won’t be the last to embrace the decals. 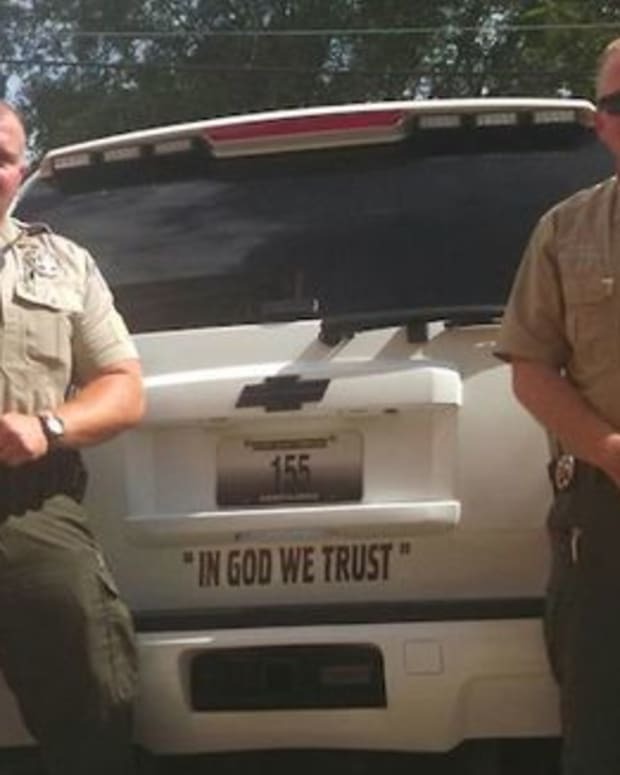 In the coming weeks, Liberty County Sheriff Bobby Rader will be putting the same slogan on his vehicles.